Tucked away atop the historic Print House building in Ashwin Street, Dalston Roof Park is an oasis among the hustle and bustle of E8. An initiative of the Bootstrap company a local charity who’s offices are just below in the Print House, it was designed by Zector Architects and is a mix of all the things you could possibly want on a (London weather permitting) balmy summer day/night: lush greenery, views of the city, deck to sun yourself and a licensed bar to cool you down (FROZEN MARGARITA MACHINE..ariba!). 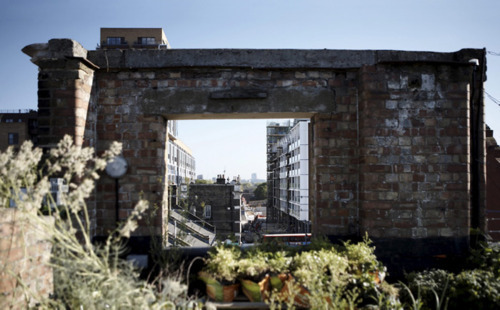 Dalston Roof Park and The Allotment have teamed up this summer and formed the See Hear club, which put simply, serves to combine two great things: music and film. Set oudside amongst the greenery of the rooftop garned, each installation will present one band who will choose a film to be screened following their set. Tonight Tasseomancy (formerly Ghost Bees) will play and they have plucked from the archives Argento’s classic: Suspira. Very apt as the Italian horror movie has an incredible soundtrack, scored by Goblin. 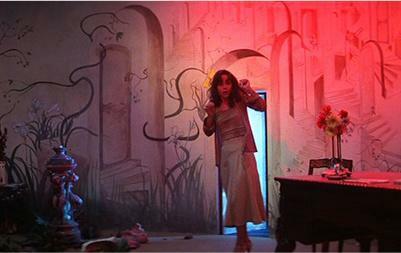 Barbaric and beautifully shot, Argento’s dreamlike horror film released in 1977,is a visual feast ; a dark fantasia. To make this EVEN better, these brainiacs have organised the crew from Bandulu’s Kitchen to lay on a BBQ (im sure with all the trimmings) accompanied by picnic blankets and popcorn. It’s free to visit the roof garden during the day, (something they really encourage!) you just have to become a friend of Dalston Roof Park, which is as easy as walking into into the ground-floor gallery at the Print House on the bottom floor and picking up a card. 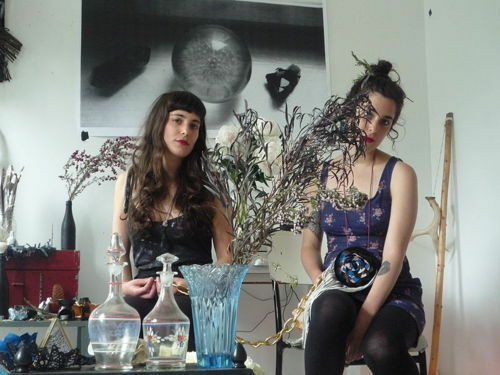 Tasseomancy are a Canadian indie pop band from Toronto, Ontario, but created in Halifax, Nova Scotia, consisting of twin sisters Sari and Romy Lightman. Born and raised in Toronto, the Lightman twins moved to Halifax to attend university and began performing there. Originally recording and performing under the name Ghost Bees, the duo released their debut EP Tasseomancy on April 8, 2008. Its cover is a photograph of the duo’s great-great grandmother Clara Chernos, a Russian Jewish tea-leaf reader who moved to Canada in the 19th century during the Russian pogroms. The duo began a national tour to support the album on April 19, 2008 in Charlottetown, Prince Edward Island after a CD launch party in Halifax. The album’s lead single, “Sinai”, was placed in rotation on CBC Radio 3. As their music evolved, they began to incorporate additional influences not heard on the original EP — their Myspace page currently lists death ritual, hebraic song, war drums, ancestry and mythology — and the duo eventually decided that their music had changed enough to warrant a change in the band’s name. Accordingly, the duo adopted the name Tasseomancy in 2010. Simultaneously, they announced that they had completed a new album with producer Taylor Kirk. The duo released a 7” single, “Healthy Hands” b/w “The Darkness of Things”, on October 5, 2010 on Diamond Rings’ label Hype Lighter. Their full length album Ulalume will be released on Out of this Spark on August 30th, 2011. Incidentally, Tasseography (also known as tasseomancy or tassology) is a divination or fortune-telling method that interprets patterns in tea leaves, coffee grounds, or wine sediments.